Traditional methods scientists have employed while on the hunt for better antimicrobial compounds have proven effective, yet extremely time-consuming and inefficient, often yielding only a few candidate compounds to take further into clinical studies. However now, researchers at UC San Diego have developed a method they believe will help identify and characterize new antibiotics, as well as be utilized to screen natural products quickly for compounds capable of controlling antibiotic-resistant bacteria. The investigators have confidence that their discovery will allow chemists and others to understand how mixtures of potential antibiotics from microorganisms work without first purifying them. Their current work builds upon previous work from their laboratory where the research team developed a novel process for rapidly identifying new compounds capable of killing bacteria. Many traditional methods for isolating natural product antibiotics are slow since it is often requisite that molecules be purified before performing extensive experiments to determine how they work and if they are efficacious. In the past two decades the number of new antibiotics entering the clinic has drastically declined, while, in the same timeframe, many bacteria have evolved resistance to all of the currently available drugs. The main problem with identifying new antibiotics and bringing them to market is a lack of understanding how the molecules work. The investigators used a method of bacterial cytological profiling (BCP) to rapidly determine the mechanism of action for various compounds in complex natural product extracts. 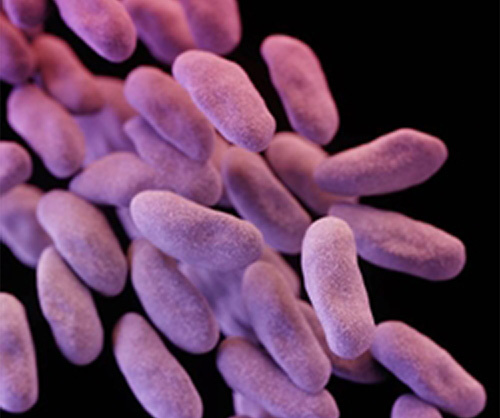 The researchers were energized by their findings and were continuing the search for potential new therapies to stem the tide of the rapid rise in drug-resistant microbes. “We are now using this method to look for new antibiotics from unique collections of microbes to find those that are active against antibiotic resistant bacteria,” Dr. Kit Pogliano said.